What’s cool is that my current workplace, NET, lets me (a student) be a part of the interview process when we’re hiring new student programmers. It makes sense since we should have a strong say in who we’re working with. It’s enlightening being on the other side of the interview table; I get to step into the mind of the interviewer, see what it’s like, see what they want. Knowing what it’s like helps when I’m interviewing for other things myself. Since not many get the chance to be on both sides and reflect, I’d figure I share. Perhaps it could help you when you’re next preparing for an interview. Hiring is very similar building an NBA team (yes, we’re going with the good old American basketball team metaphor); we have a general idea of the kind of person we’re looking for. Someone that would be a good culture fit. Some of these criterion are flexible and some are not. If a candidate is a bit older, but has a lot of experience in with stuff in our workflow, they have a good chance. Like in the NBA, a good team is composed of a mix of young guys and veterans. The veterans do work and can teach the young guys. If the candidate comes in already with knowledge of stuff like Python, that’s a definite plus, and the candidate climbs the stack of resumes. But say, the candidate has little experience Python (like me when I first interviewed). Well, that’s perfectly fine. If the candidate has shown the ability to program in other languages like C and Java, and the candidate is willing to learn, we’d wouldn’t mark you down. As much as proven experience is nice to have, potential, the willingness to learn, and independence are just as much of factors . We should be able to tell someone, “go program this”, and they should seem like they would be able to do it without very much hand-holding or guidance. When my co-worker and I were first hired, we were green as hippies, but we learned quickly without much guidance and turned out well. Rookies in the NBA with enough playing time can turn into solid contributors or even all-stars. Lastly, personality matters. Even if the candidate has a lot of experience and skill with stuff in our workflow, and they seem pretty smart, it doesn’t mean they’re getting the insta-hire. We’ve turned down people that were fully qualified but didn’t seem like a good culture fit. We’d like people that seem friendly, seem confident, and have a good sense of humor (as in they could take an offensive joke…or many of them). 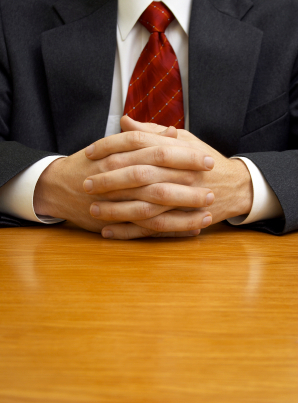 A well-qualified candidate can ruin their chances if they talk really quietly or, inversely, act arrogant. Be cool. Now, every place has their own set of criteria for what they look for in a candidate, criteria probably different from ours. Though, I think I can give some advice that would apply no matter what place you interview for. Really try to learn about what sort of candidate the place is looking for and adjust your mindset to match. Don’t think just because you don’t meet every criteria on their job listing that you’re not qualified because that may not be true; they will probably be a bit flexible. Present yourself well during the interview; be confident, but not arrogant, and be someone that you’d want to work with, not like some creeper that collects kidneys or something.